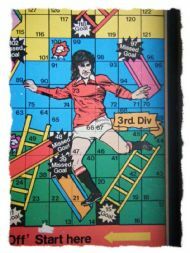 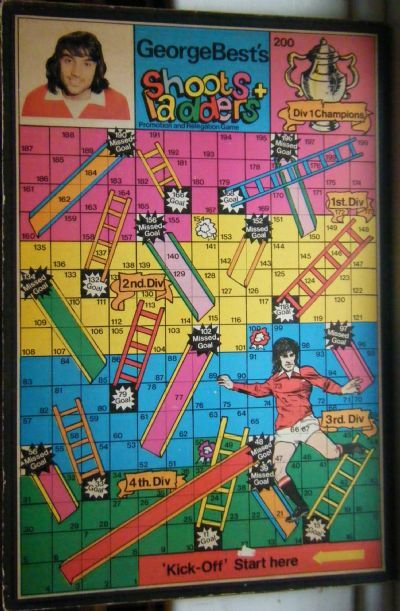 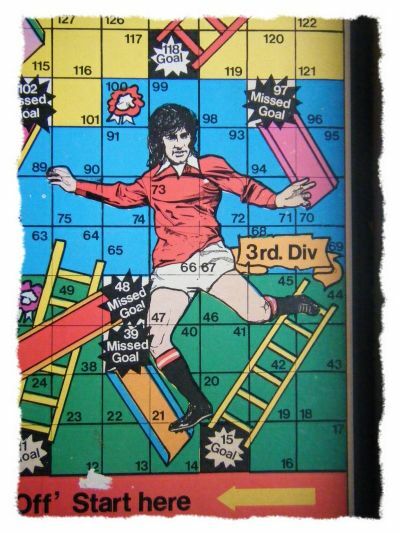 A George Best endorsed version of snakes and ladders - nothing more and nothing less. 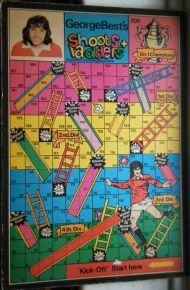 Very colourful game mounted on thick hardboard. 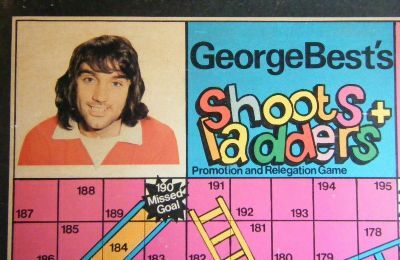 Simple official or unofficial endorsement by George.